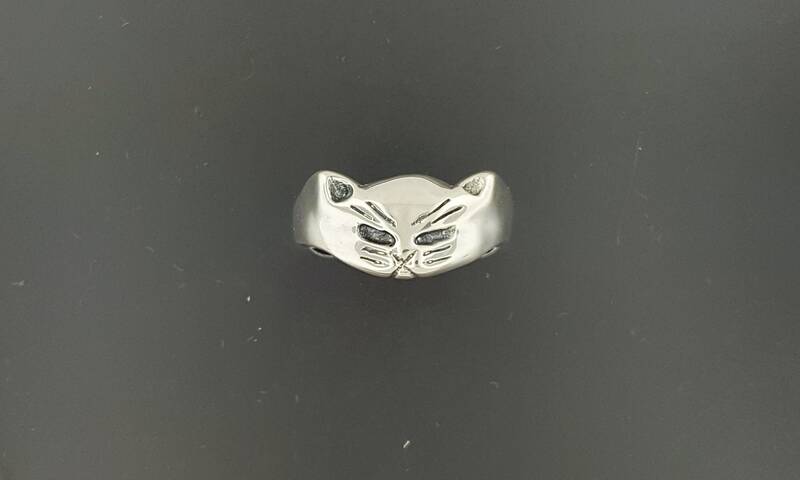 This is a sterling silver adjustable cat ring I made for a friend of mine. Some have commented it looks like a mask! 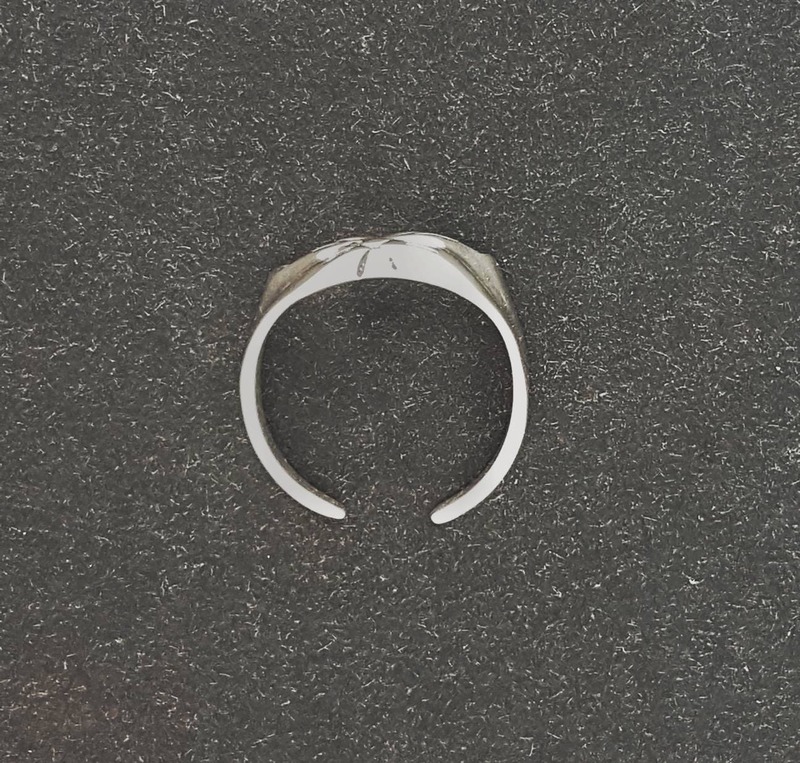 It's open in the back, so you can put it on almost any finger. I'm also working on making a pair of earrings to match. The eyes in the production pieces don't have the hole in them as this was taken just before I was going to set stones in the eyes for a special order. I have this one with stones listed in my shop. 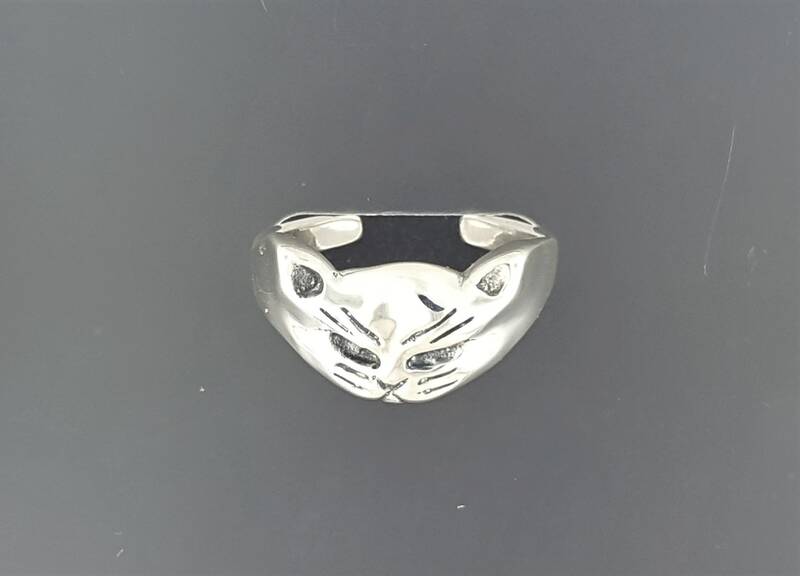 Beautifully designed charming cat ring! 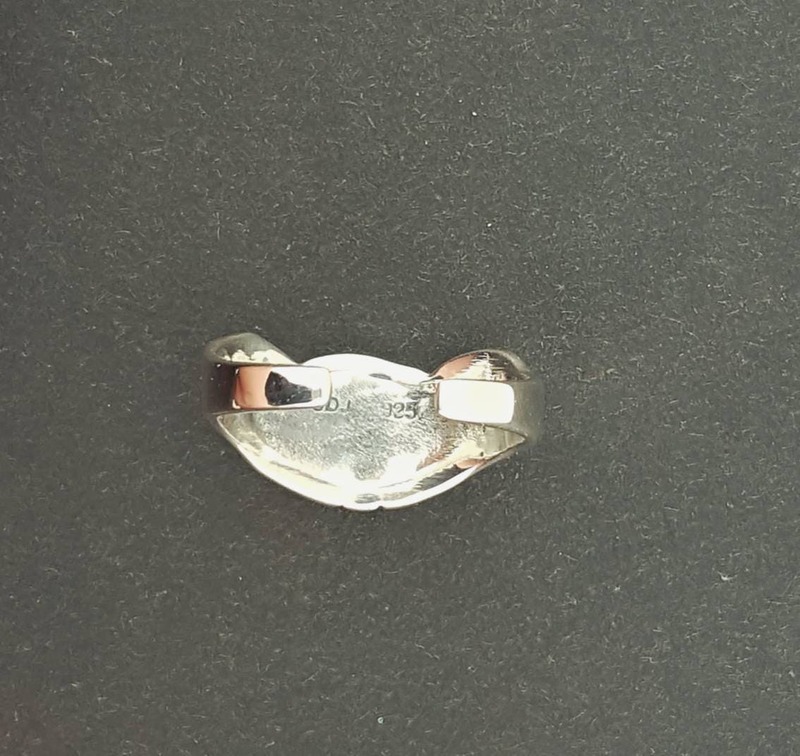 Lovely ring, excellent work, and it came super fast! Good seller.